Line a baking tray with foil. 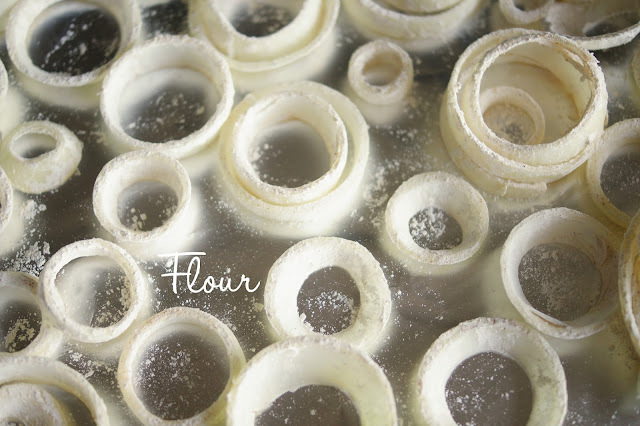 Combine the flour, cornflour, baking powder, spices and salt in a mixing bowl. Cook onion rings in batches of 4-5 for 1 min or until golden brown. 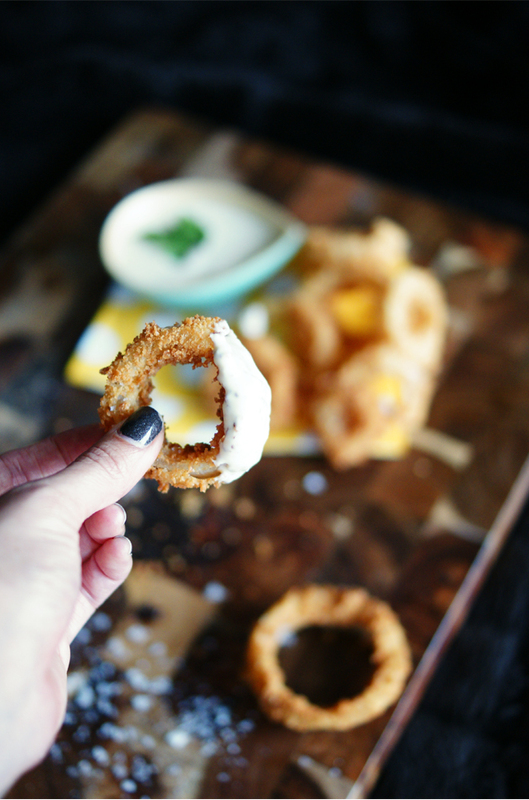 Remember the temperature of the oil drops each time an onion ring is dropped in, so allow small intervals for the oil to come back to 190deg. 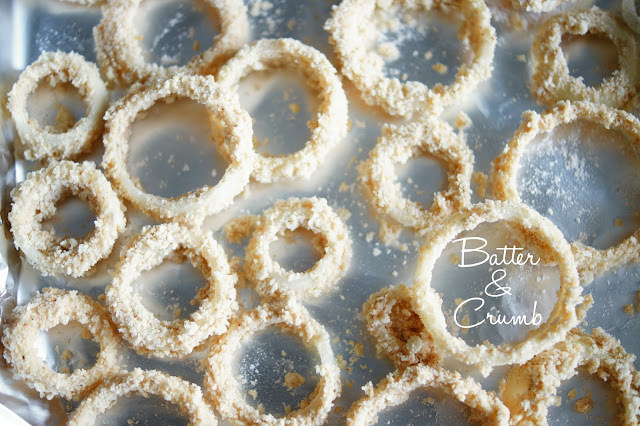 Remove with a slotted spoon, place on a paper towel to soak up excess oil, sprinkle with sea salt flakes and serve! 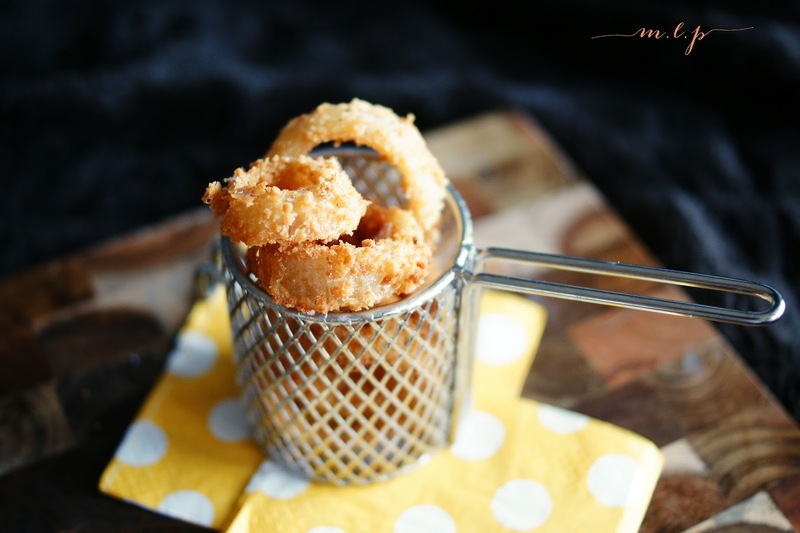 Place all ingredients in a small mixing bowl, whisk well, and either serve as is, or decant into a serving dish to serve alongside your onion rings! 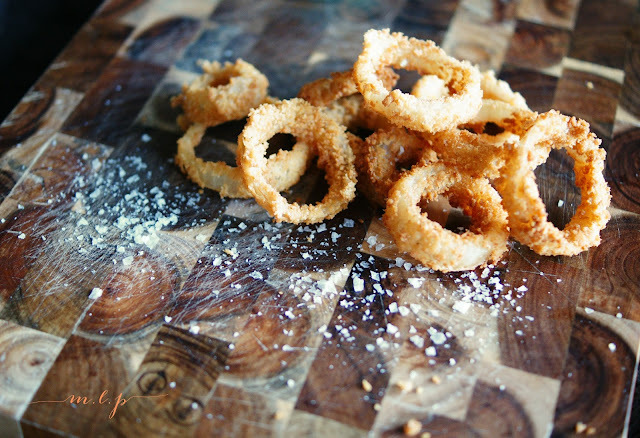 Once the onion rings are prepared, it takes mere minutes to fry them up. If you want to entertain and serve these but know you will be pressed for time on the day, these can be pre-prepared the day before, loosely wrapped in the fridge. 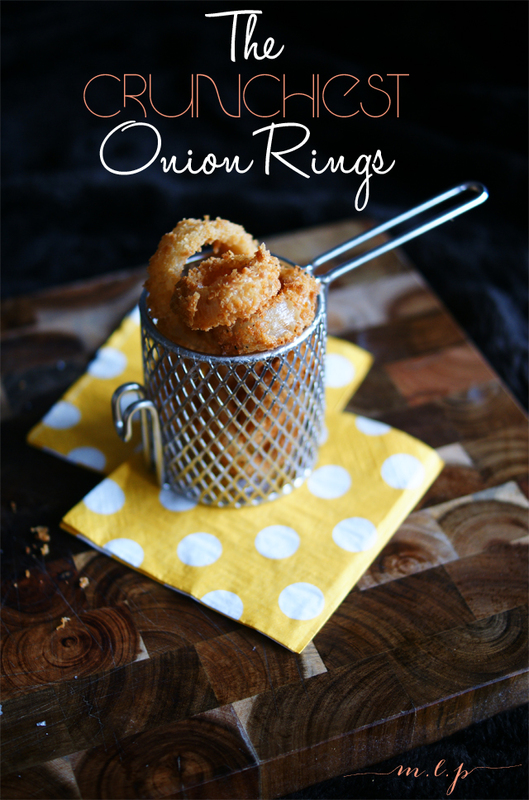 Or you could simply pop in a ziplock bag and place in the freezer for frying up another time. The most perfect crunchy vegetarian snack...like...EVER. Oh yes, would totally make his day! I got this at a local store near where I live, doesn't unfortunately has no website! Do you live in Sydney ? If so, Kitchen Kapers has some! Thanks Julie, you really should, so so yum! Thanks for your lovely comment!